It is easy and simple trick. We can chat using MS-DOS(we have did this as college experiment in network lab with java code). But i am not going to give you the java code. Our usual Batch Programming. You can try this in your school or college systems(it should be networked systems). Get the ip address of your friend's system. if you are using college or school system,then ip address will be in particular range. 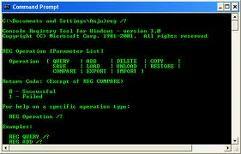 Open command prompt and navigate to that batch file location. If you don't know how to move to that path,simply drog and drop in cmd.Then hit enter. Now it will ask you for the IPAddress. Enter the IP address which you want to send message. Now it will ask you for the message. Note:The user with whom you connecting system's cmd should be opened in order to receive.